Is this metallic gold? If not, do you stock metallic gold? Can this be sprayed onto concrete? I am looking for a product to coat the inside recess walls where my stove sits in. There is reasonable space around the stove for air movement. Yes. You will need to remove any contaminants to make sure of good adhesion. Soot and any other contaminants can be removed with soap and water - make sure all the soap is removed and bricks are completely dry (allow 2-3 days). For more stubborn contaminants, it may be necessary to do a wipe down with lacquer thinner. Use caution with lacquer thinner. It is a solvent and concentrated fumes can impact your respiratory system. Ventilate work area well while using. You can paint immediately after solvent cleaning. 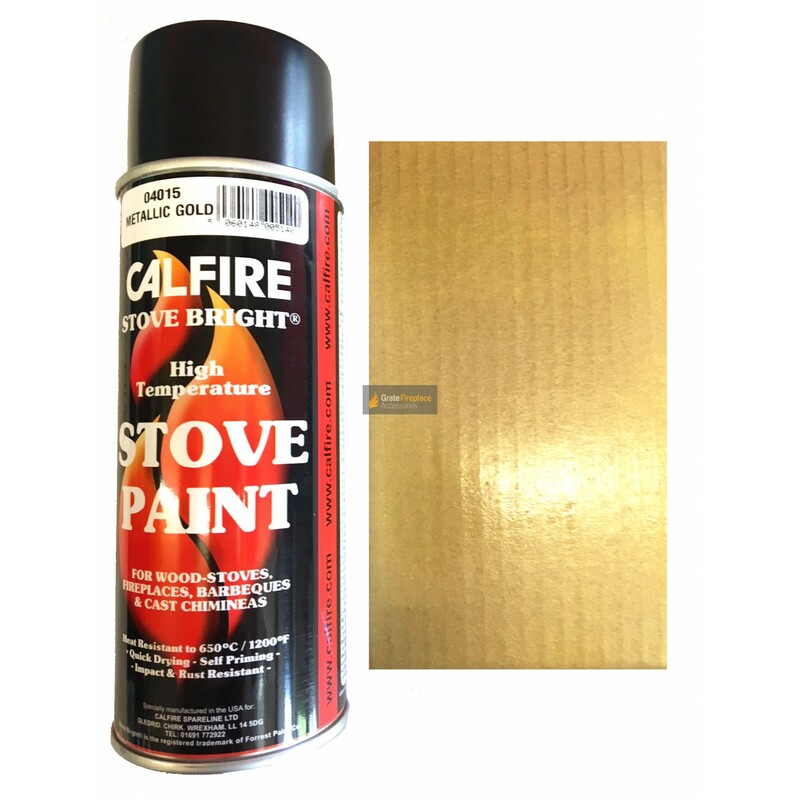 is this paint suitable for a car exhaust manifold?. how long is the drying time ?.